Offering strong data protection to cloud users while enabling rich applications is a challenging task. We explore a new cloud platform architecture called Data Protection as a Service, which dramatically reduces the per-application development effort required to offer data protection, while still allowing rapid development and maintenance. V Prasanth, B Ajay, R Nijanthan. "Cloud Data Protection for the Massess." 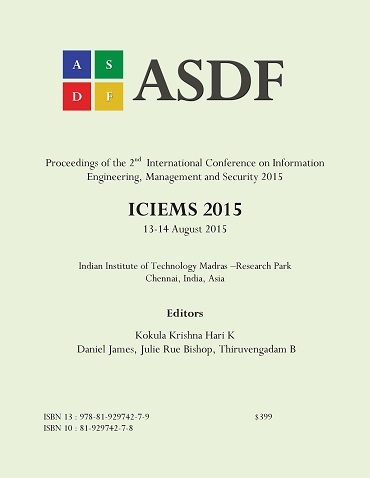 International Conference on Information Engineering, Management and Security (2015): 70-73. Print.